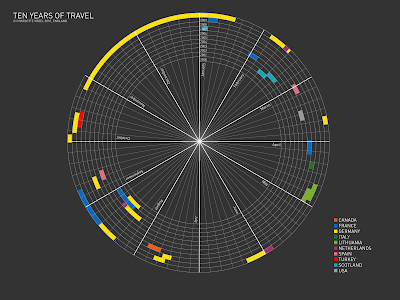 A diagram documenting my travels abroad over the last ten years (the life of my passport). 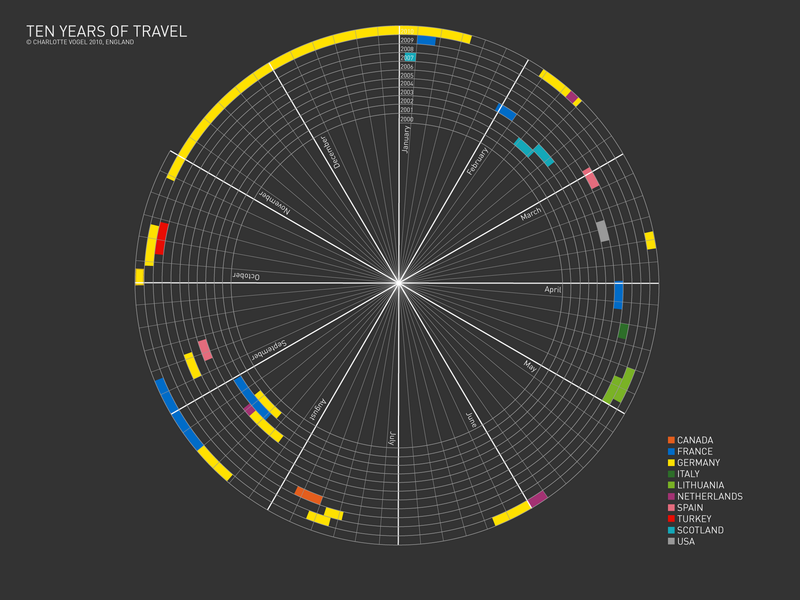 It shows the patterns I was interested in seeing, such as most visited countries and peek times of year. However, a flaw with the design is that a week in 2010 looks a lot longer than a week in 2000, so it's not an entirely fair representation.